The slot receiver position has never been a bigger part of the game than it is in today’s NFL. Gone are the days of strictly two-receiver sets with a tight end who was there to block more than to catch passes. With offenses as spread out as they are today, quarterbacks need that reliable slot receiver who they know is going to work the middle of the field and pick up the tough yards. It’s rare to find a successful passing offense today without a solid slot receiver involved. Below is a list of the NFL’s top five slot receivers through 13 weeks of NFL action. 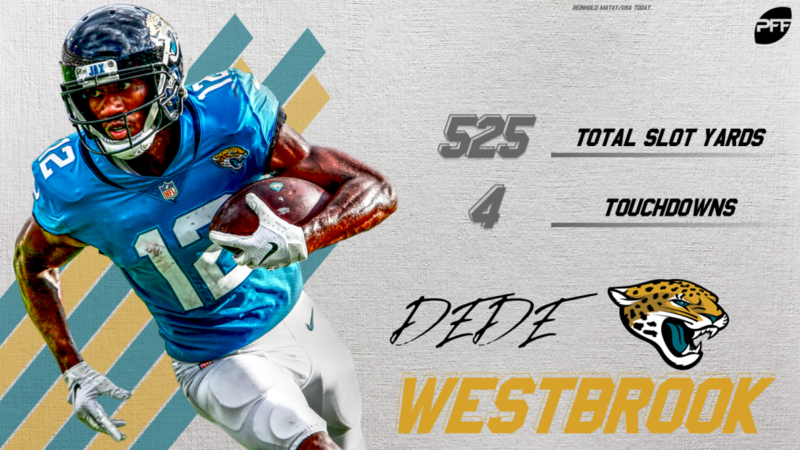 Coming in at number five, we have the Jacksonville Jaguars‘ second-year receiver, Dede Westbrook. Westbrook has taken 90% of his snaps from the slot, which is the most of any receiver, and he has racked up 525 slot receiving yards. He has hauled in four touchdowns to go along with 28 first downs, which ranks fifth among all receivers from the slot. Westbrook has also had 13 explosive plays (plays of 15-plus yards) from the slot, which is tied for the fifth-most among receivers with at least 25 targets. Coming in at number four, we have the Minnesota Vikings‘ Pro Bowl receiver Adam Thielen. Thielen has played just 58.1% of his snaps from the slot but has racked up the fourth-most slot yards with 616. 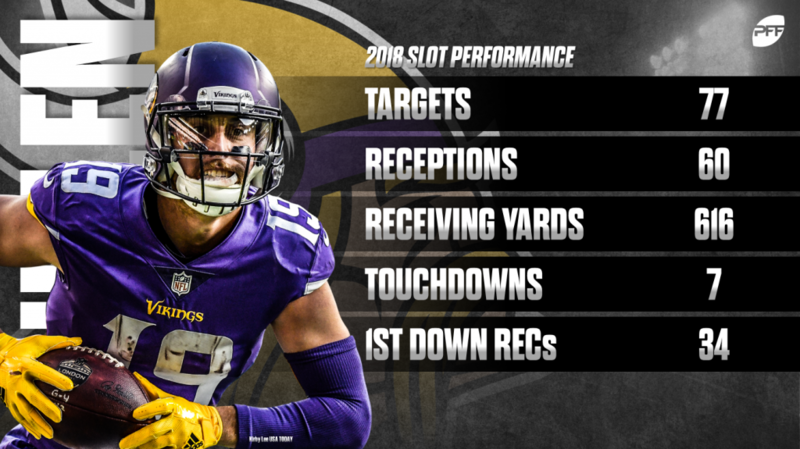 Thielen has racked up the second-most touchdowns from the slot (7) to go along with 34 first downs, which is tied for the most among slot receivers. 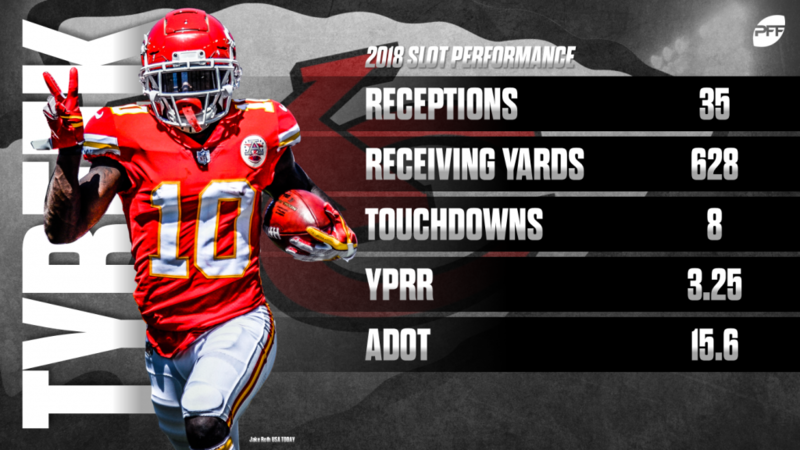 Coming in at number three, we have the speedy Kansas City Chiefs receiver Tyreek Hill. Hill has played just 44.1% of his snaps from the slot, which is the lowest of our top five, but he has racked up the third-most slot yards with 628. Hill’s average depth of target from the slot of 15.6 yards is the highest among any receiver with at least 25 targets. Coming in at number two, we have the standout second-year receiver for the Pittsburgh Steelers, Juju Smith-Schuster. Smith-Schuster has played 67.5% of his snaps from the slot and has gained 675 yards on the year to go along with three touchdowns. 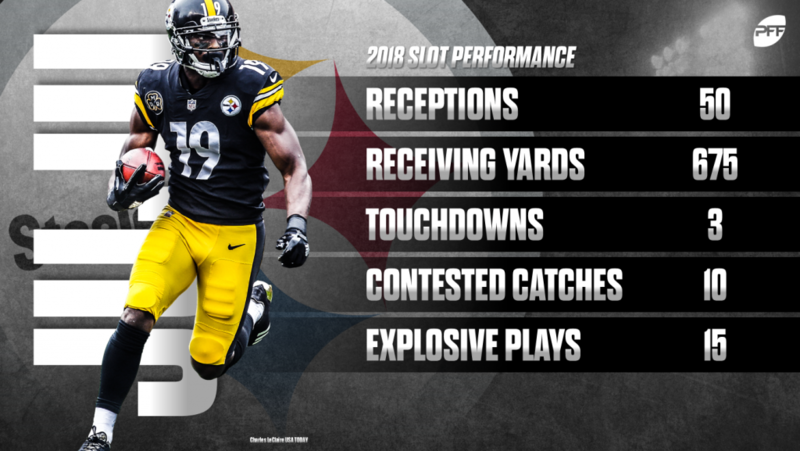 Smith-Schuster also has 10 contested catches from the slot – which ranks first among receivers – and his 15 explosive plays from the slot rank second. 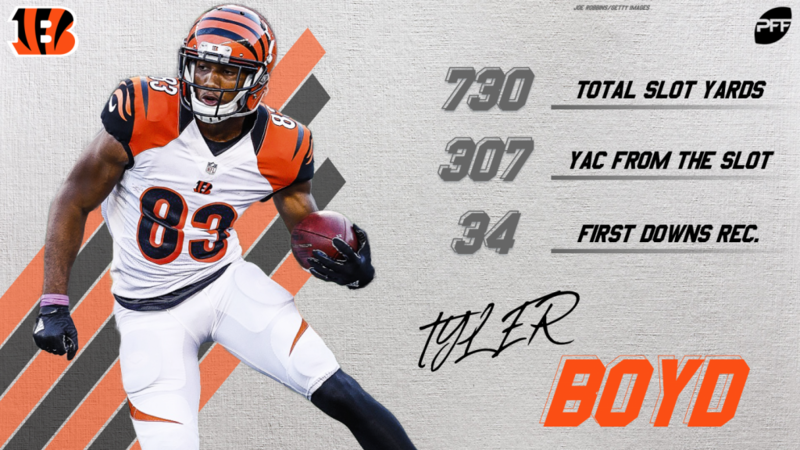 The most productive receiver from the slot after 13 weeks is Cincinnati Bengals receiver, Tyler Boyd. Boyd has taken 75.3% of snaps from the slot, which is the fourteenth-most, but he has racked up the most slot yards with 730. More impressive, is the fact that 307 of Boyd’s 730 yards have come after the catch, which is the most of all receivers from the slot.